After raising the optimism of many investors and important personalities from the crypto verse by announcing a partnership with Beam’s team to explore the possibility of implementing MimbleWimble for anonymous transactions, Litecoin pleasantly surprises its community again thanks to an announcement by the mobile app Spend.com. 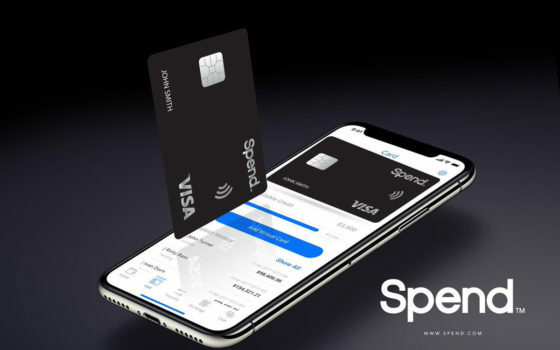 Finally, after the problems with Litepay and TenX, Spend has announced that its users can make financial transactions with LTC through their Visa card. With Spend app, users have access to a multi-currency digital wallet that they can link to a bank account. Thanks to this feature, users will be able to buy, sell and make payments in Litecoin through the Spend Visa Card, which automatically converts LTC to the user’s local currency. It is important to remember that this type of implementation has always been a goal of the Litecoin team. Their most recent attempt was with TenX. Currently, the project is underway, but the staff has experienced significant difficulties in offering the promised Visa card to its users, mostly due to legal problems with the bank responsible for issuing it. Also, the LitePay project was highly promoted and funded by Litecoin; however after several delays and a horrible Reddit AMA, the Litecoin Foundation decided to cancel the economic support to the project, which resulted in the complete halt of its development. According to the company, the partnership with Spend would allow more than 40 million stores worldwide to accept LTC tokens as payment with the backing of the VISA network, which would process transactions as if they were regular purchases with fiat currency. No further details have been disclosed about the operations; however, Spend has gained the recognition of several users and merchants in the community for being tested with other cryptocurrencies such as BTC and XRP. There are more than 16 cryptocurrencies supported by the app. Card transactions are accepted in 180 countries according to Spend’s official website. So far, Charlie Lee has not issued any comments on social networks regarding the news. The Litecoin Foundation has also not released an official statement promoting such news or explaining about its implementation.